It's the little things in life that make the adventure so rich. 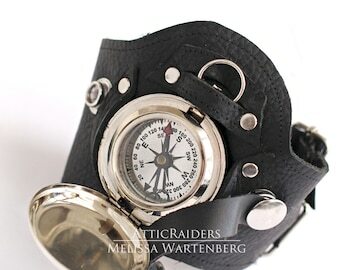 Little things like this Steampunk tool belt chatelaine that can be customized to fit your travel needs. Introducing a mini tool belt that both men and women can enjoy wearing and using all day every day on their travels. A compass, an hourglass and a magnifying glass make up the tools of this chatelaine design that's made with a removable spring clasp fob. 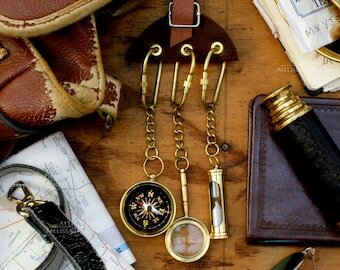 It's a small accessory that can make a big style impact and the fact that all of the miniature nautical pieces are fully usable make this one sweet, practical addition to your bag for the journey ahead. Need some extras? This mini tool belt automatically comes with a spring clasp on a belt that can be adjusted to your preferred length but you can upgrade the chatelain accessory by adding the rest of the fobs to have a three piece fob set with it. Designed to clip, clasp or belt on, the three piece fob set is a great extra for not only holding your chatelaine but for also displaying your favorite time piece or large nautical device elsewhere on your outfit, making the three piece fob addition a powerful multi-purposeful extra. 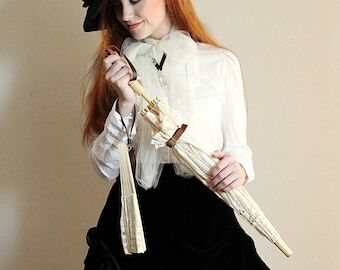 Pick a brown one of a black one during check out to compliment the leather of your chatelaine and align with your style. 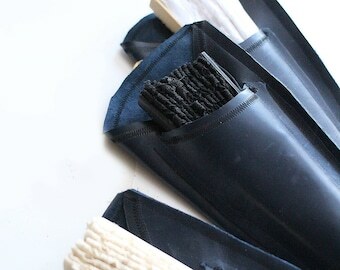 Handmade and custom designed in studio, this item is made using imitation and genuine leather that's been lightly oiled to help the leather maintain its subtleness and flexibility for the years of use to come. 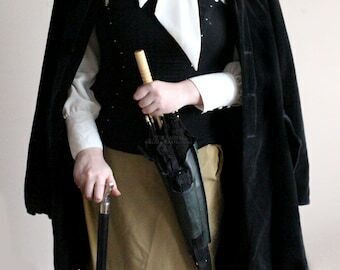 Unlike the historical chatelain accessory, which this design is inspired by, this chatelain is unique in it's versatility offering up many different ways to wear and change up the piece to suit your needs instead of being locked onto one piece as they originally were during the Victorian time period. 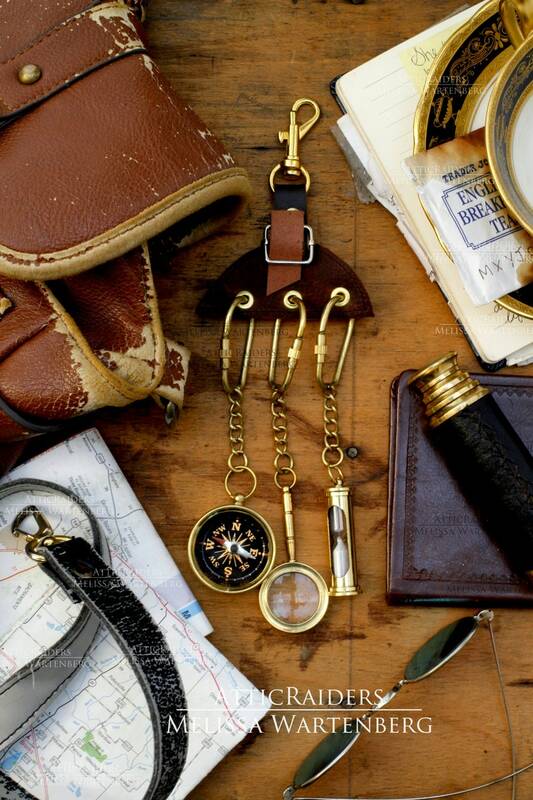 Swap out one of the mini nautical tools for your keys or take advantage of one of the fobs from the three piece fob set and belt on your favorite time piece next to this chatelaine. If its the little things in life that make life so interesting, then this accessory is sure to make life a unique experience indeed. 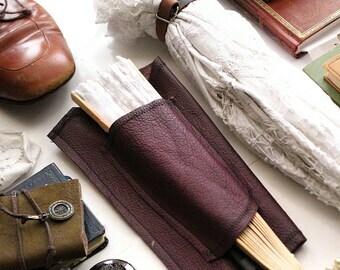 Please choose at checkout which leather chatelaine you would like, the brown vine, black or coffee brown leather. 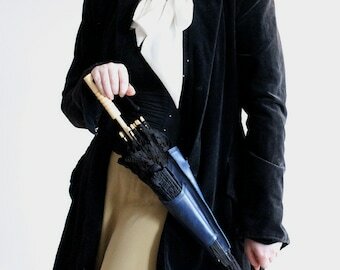 Please choose at checkout any extras to compliment your chatelaine. - each chatelaine comes with a reusable, water resistant drawstring bag and cleaning cloth to help keep this accessory safe when not in use.
! - Please check back to my Etsy shop often as new accessories are always being introduced.